C.P. 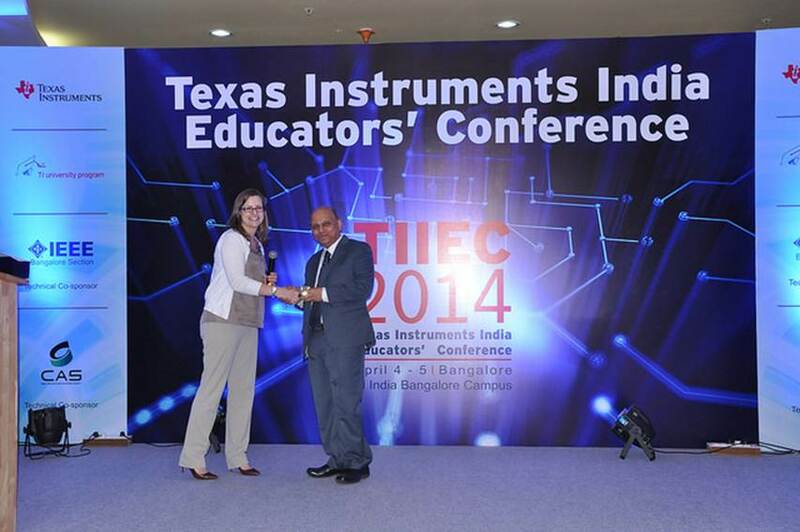 Ravikumar is presently the Technical Director Technical Talent Development at Texas Instruments, India. He leads the TI India Technical University which provides learning opportunities to employees of TI India. His earlier roles in TI include Director of University Relations and Senior Technologist (VLSI Test). He is also an adjunct faculty at IIT Madras. Before joining TI India in 2001, Ravikumar was a Professor of Electrical Engineering at the Indian Institute of Technology, Delhi (1991-2001). He also held a visiting position at the University of Southern California (1995-1996) and the position of Vice President (Training) at Controlnet India Pvt Ltd (2000-2001). He obtained his Ph.D. (Computer Engineering) from the University of Southern California (1991), M.E. in Computer Science with highest scores from Indian Institute of Science (1987) and B.E. in Electronics with a Gold Medal from Bangalore University (1983). He has published over 200 papers in leading International conferences and journals. He founded the VLSI Design and Test Symposium (VDAT) and was the General Chair of this event for 15 years, from its inception in 1998 to 2011. He is the author/editor/coauthor of over 12 books in areas of VLSI and has contributed several book chapters. He is the editor of the Journal of VLSI and Electronic System Design and on the editorial board of the Journal of Electronic Testing – Theory and Applications and the Journal of Low Power Electronics. He has won the best paper award at IEEE International Conference on VLSI Design (2002) and VLSI Test Symposium (2005). He is a Senior Member of IEEE, honorary secretary of IEEE CAS Bangalore chapter (2004-current) which he founded, and the honorary secretary of VLSI Society of India (2003-2011). 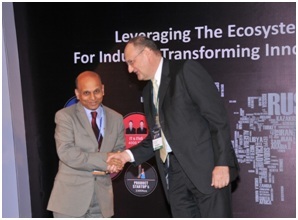 He received an award from Zinnov for his work on eco-system development in India (Universities). I have conducted research at USC, IIT Delhi, and at TI India in the following areas. Please click here to see the list of my research publications. Most of the papers can be downloaded from IEEE online library or from appropriate conference archives. You can also visit www.scholar.google.com and get the citation information on my publications. Sorry, I don’t have downloadable PDFs on my site. If you need any specific paper, I may be able to send a softcopy. Member, Editorial Board, Journal of Electronic Testing – Theory and Applications (JETTA) (2001 – 2011). Member, Editorial Board, Journal of Low Power Electronics (JOLPE), since 2007. I taught a course on VLSI Design for undergraduate students twice in the Department of EE-Systems. I was also a teaching assistant for “Computer Organization” and “Computer Architecture” classes at USC. I have taught several courses for undergraduate and postgraduate students at IIT Delhi. Please click here to see more. As an adjunct faculty at IIT Madras, I have taught courses in the Department of Electrical Engineering. Please click here to see more. Half-day tutorial at VLSI Design and Test Symposium, 2009 on the topic of “Test Power Reduction”. Delivered a half-day tutorial on VHDL at the VLSI Education Workshop organized by NIST, Berhapmpur, October 2005. Delivered a half-day tutorial on “System-on-Chip Design & Test” at the VLSI Education Workshop organized by NIST, Berhapmpur, October 2005.